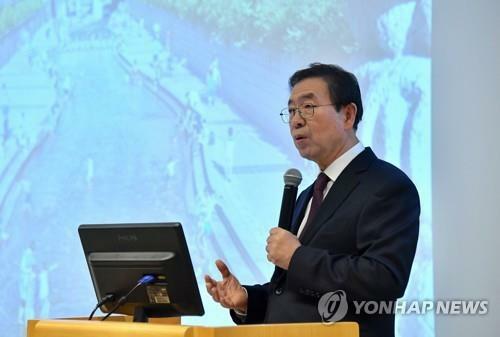 SEOUL, March 25 (Yonhap) -- Seoul Mayor Park Won-soon said Monday his municipal government will provide wholehearted support, including cash, to foreign companies investing in the capital city. In a question and answer session, executives of AMCHAM member companies expressed concern about Seoul's fine dust air pollution problem and Park said his government is doing its best to resolve the problem that affects not only Seoul but the entire nation. 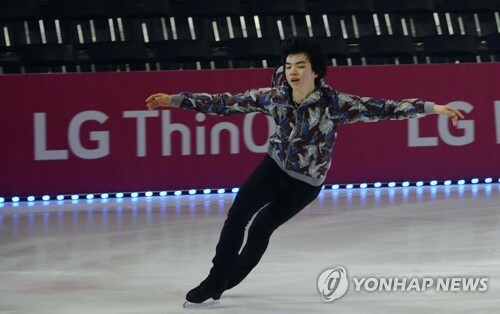 After hearing that many AMCHAM members supported the 2018 PyeongChang Winter Olympics, Park asked for the chamber's continued support for a joint bid of Seoul and Pyongyang for the 2032 Summer Olympics. Park was asked if he will again run for elected office after his term as Seoul's mayor, but didn't give a direct answer. Park was elected to his third term as mayor in local elections last June. In South Korea, the term for local government heads is four years, and they can be reelected up to three terms.